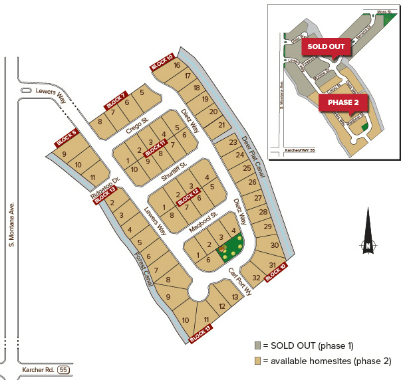 The serene community of Quail Ridge offers the best of Caldwell area living at affordable prices. Conveniently located off of Karcher Rd residents are just minutes from restaurants, shops, entertainment and Vallivue Middle and High schools. Nature lovers will benefit from being nearby recreation at Lake Lowell. Wine enthusiasts can spend the day on the Sunnyslope Wine Trail, just ten minutes away. Quail Ridge provides a peaceful setting while remaining close to city amenities and the best the region has to offer. Search all Caldwell new homes on WeKnowBoise.com, your source for local home builders and new subdivisions in Caldwell, Boise and throughout the Treasure Valley. West on Karcher Rd from Indiana Ave. Turn right (north) at Montana Ave then right (east) on Dietz Way, Caldwell, ID 83607. To own your very own home at Quail Ridge, contact us online or call our Caldwell real estate specialists at (208) 391-4466 today.